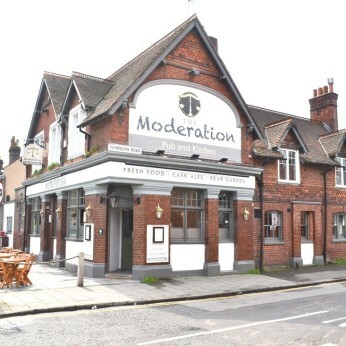 Welcome to the Moderation, we've been serving food and drink to the people of Reading for over 7 years now and we've loved every minute of it. On our menu you will find a few of my favourite South East Asian dishes that I have come to love from my travels around the Far East, of course you'll also find more traditional pub fare too, but if you fancy something a little more spicy, we won't disappoint. Around the pub you will find a selection of art and furniture that I have purchased whilst in Thailand and Indonesia, some of these items are for sale too, so if you see something that takes your eye, let us know and you may even go home with it, but don't forget to haggle in true Asian style!